While lovely printed documents will never win your case, improperly prepared documents can certainly lose one! Filing with the United States Circuit Courts of Appeals is exceptionally complex and time-consuming. Attorneys or pro se clients must navigate the Federal Rules of Appellate Procedure as well the Local Rules of each federal circuit. The most important thing that you can do for your client or for yourself as a pro se petitioner, is to give your case the best possible chance to obtain a proper appellate review. That means freeing up as much time as possible for the legal research, writing, and editing required to submit a high-quality Federal Appellate brief. 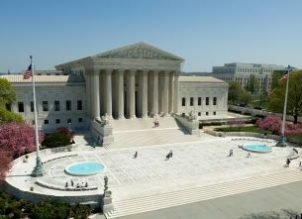 We serve amicus curiae filers in the United States Supreme Court through our brand Amicus.Press. Note: Any information provided by FederalCourt.Press or the Supreme Court Press does not constitute legal advice and should not be relied upon as such. If you need legal advice on a specific matter, please contact a lawyer. The Supreme Court Press Does not calculate legal deadlines. It is the client’s sole responsibility to manage and meet their deadlines.